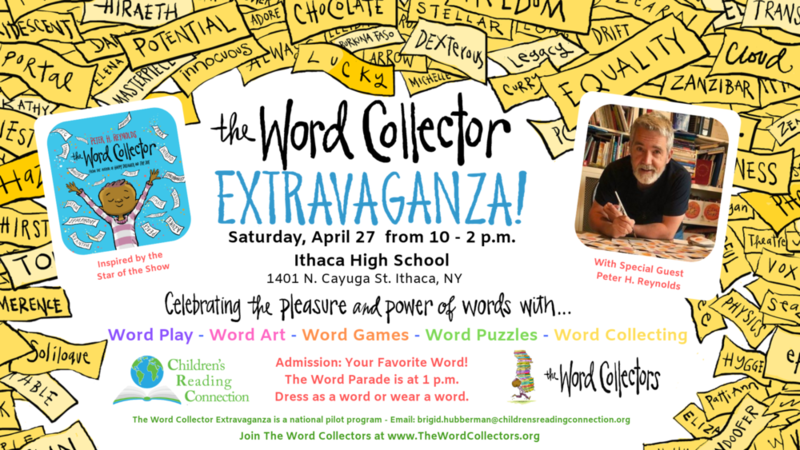 Join Children’s Reading Connection, Peter H. Reynolds, and the Reynolds Center for The Word Collector Extravaganza on Saturday, April 27 from 10 - 2 p.m. at IHS Performing Arts Center., 1401 N. Cayuga St. Ithaca NY. Brigid Hubberman, founder of Children’s Reading Connection, is spearheading the national pilot program built around The Word Collector by Peter H. Reynolds, in collaboration with The Reynolds Center, for Teaching, Learning and Creativity. 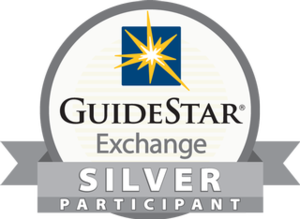 If you have any questions, or an idea for celebrating words at the event, contact: Brigid.Hubberman@ChildrensReadingConnection.org or call 607-227-3360. For more information on the day, click here. 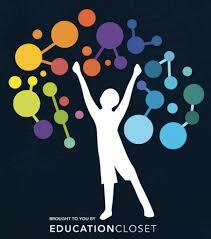 Join Paul and Peter H. Reynolds for the second The Reynolds Center Virtual Open Studio. This half-hour virtual event on Wednesday, April 10, 2019 starting at 11 a.m. For more information, and to reserve your spot, click here. Join Paul A. and Peter H. Reynolds at the NCTE Annual Convention on Sunday, Nov. 18, for the closing keynote, at 12 p.m. Come celebrate students’ voices and the impact they make in the world. More Info: For more info, click here. 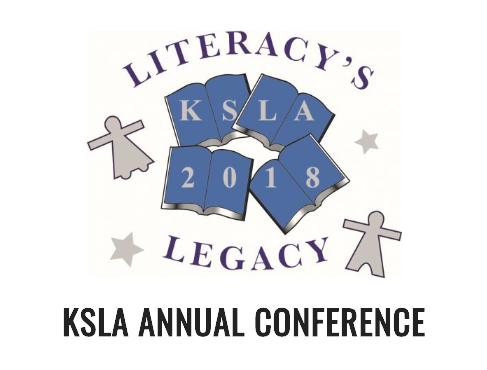 Peter H. Reynolds will keynote the 2018 Keystone State Literacy Association Annual Conference on Monday, Oct. 29. The theme of the conference is One Book - One Conference. This year's book is The Word Collector by Peter H. Reynolds. Peter H. Reynolds to Speak at Plum Creek Children’s Literacy Festival in Nebraska on Saturday, Oct. 6 at 9 a.m. and 10 a.m. in the Weller Auditorium. Plum Creek Children’s Literacy Festival was founded in 1996 and seeks to encourage a love of reading, writing and books by bringing nationally renowned authors and illustrators to Nebraska. New York Times best-selling author/illustrator Peter H. Reynolds (“The Dot,” “The Word Collector,” “Judy Moody”) will talk about creating bravely in his session “One Brave Dot.” “I just can’t draw.” These words, uttered by a 1st grader nearly twenty years ago, inspired Peter’s mission to urge all of us to “make our mark” bravely. While his book, “The Dot” (which celebrates its 15th anniversary this year) is about art and a great art teacher, the book is a ultimately a metaphor for being brave enough to take that first brave step and see where it takes us. Peter’s newest books “Happy Dreamer” and “The Word Collector” dare us to keep positive, keep dreaming and keep finding powerful words to help express what we are thinking, feeling and dreaming. Peter will share a sneak peek of his upcoming book, “Say Something!” which reminds readers that the world needs our voice, all voices. In a world where a few loud, boomy voices drown out the more nuanced voices, marginalized voices, this book is a rallying cry for all of us to share what we believe and how we’ll move the world to a better place. Join Peter H. Reynolds on July 19, 2018 for Education Closet's Arts Integration & STEAM Online Conference. This is the world’s largest arts integration and STEAM education conference for teachers. Each event, classroom and arts teachers connect for a crazy-good day of learning. The conference will be held, online, on July 19, 2018 from 10 a.m. to 4 p.m. (EST).